Randox Food Diagnostics is an associate of Randox Laboratories who have 30 years’ experience in the diagnostic market and a devoted research and development team. Randox Food Diagnostics is a dedicated company responsible for the distribution of Randox drug residue kits, wine testing kits and analysers worldwide. Randox Food Diagnostics incorporate several market related products dedicated to the food, wine and beverage industries. 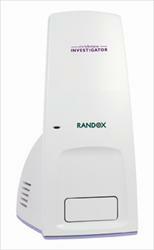 Randox Food Diagnostics develop and manufacture a range of cost effective screening solutions for drug residues. Randox Food Diagnostics offer excellent tools for screening for antimicrobials, growth promoting hormones and drugs of abuse in animals and foodstuff. We offer excellent limit of detections and simple sample preparations. 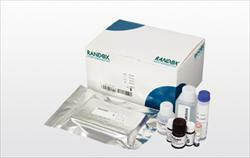 Randox Food Diagnostics has an extensive range consisting of 33 ELISA’s and 11 multiplex screening platforms. Biochip technology provides a platform that enables the simultaneous determination of multiple veterinary drugs in a single sample using a single sample preparation. 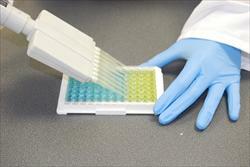 It uses miniaturized assay procedures which reduces the sample/reagent consumption and cost-effectiveness of the tests. 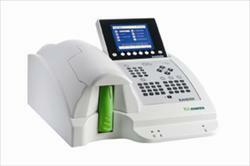 The Biochip screening is carried out on the Evidence Investigator analyser. ELISA screening methods offer an excellent way for food producers and processors to conduct their own in house screening to ensure that the quality of their food has not been compromised by drug residues administered earlier in the food chain. Sample preparations required for rapid drug residue tests such as dipsticks, lateral flow devices and receptor binding assays along with ELISAs often require a low level of technical expertise and reduced consumable costs. Our wine and beverage testing products are currently exported worldwide and clients include some of the top international wine/beverage producers. These products allow for rapid and frequent monitoring of the production process and quality control of raw materials and finished products. At Randox Food Diagnostics every customer is important, whether you are a small diagnostic laboratory with a low sample throughput to a larger laboratory with a high sample throughput. Our experienced customer service and sales department will be able to advise you to ensure that your exact screening needs are met. Randox Food Diagnostics products are used worldwide - we are known for supplying cost effective products that are of high quality. Randox Food Diagnostics will ensure that strong technical support is given to all of our customers, along with a reliable supply of products. All products are manufactured at a state of the art ISO 13485 accredited manufacturing plant in the United Kingdom. The manufacturing of all wine and beverage kits conforms to a Quality System, which satisfies the requirements of ISO 13485:2003, the In Vitro Diagnostic Medical Devices Directive 98/79/EC, the Canadian Medical Device Regulations and the Quality System Regulation as set out in Part 820 of Title 21 of the Code of Federal Regulations. Randox Food Diagnostics will ensure that all residue screening laboratories requirements are met by providing reliable food safety screening on a global scale.